Okay. So this might seem like a totally outlandish and stupid idea when you first hear it. And no one can blame you for thinking that way. 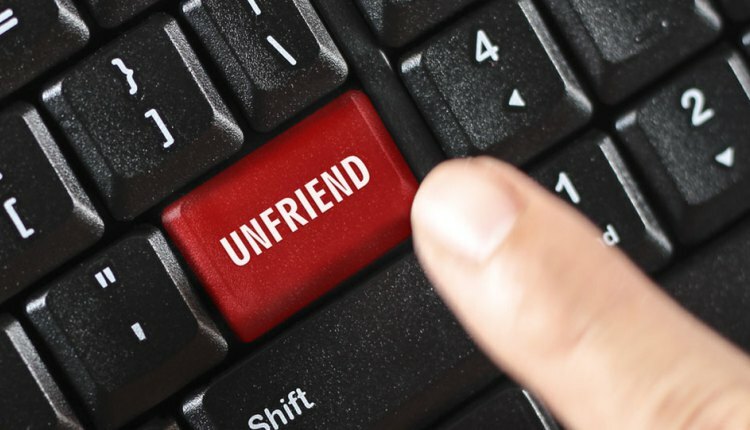 If you were to go on Facebook today and discover that your significant other has unfriended you, you would probably go ballistic. You would get very upset and you’d probably throw a tantrum. Why would the person who supposedly means more to you than anyone else in life want to keep you off their Facebook feeds? Why would they want to deprive themselves of your amazing posts, your clever comments, and pretty pictures? you must already be exposed to the idea of people deleting their social media accounts just to disconnect themselves from the world for a bit. And as it turns out, there are many good reasons why you should consider deleting your special partner from you social media pages as well. In a relationship, it’s always important to maintain openness and honesty with one another. However, there is always going to be room for a little mystery – especially when the relationship is still new and fresh; when you’re only just getting to know one another. Remember that a relationship is a process of self-discovery and learning. You always want to be discovering more and more about who you are in this relationship; and who your partner is as well. And if you’re practically sharing every single aspect of your life on social media, then a lot of the mystery just vanishes completely. You have nothing left to really talk about when you’re together. There is nothing more to discover. There is no more mystery to unravel. The allure loses its luster. You don’t get excited at the thought of learning more about your partner anymore. Plenty of relationship and sexuality experts have already concluded that love isn’t necessarily measured by how much you know about your partner. In fact, the opposite is almost always true. It’s all about the passion, curiosity, and intensity that couples express in getting to know each other more. It’s about the expression of interest that keeps the flame of passion alive in a relationship. Couples who never feel content with what they know about one another; the ones who are always learning more and more about each other as each day passes – they are the ones who have really strong bonds and relationships. If you are just too active on your social media pages, you are practically opening your whole life up for the entire world to pay witness to. And it’s not even just about the most interesting and fascinating aspects of your life anymore; it’s not about your greatest accomplishments or your grandest adventures. People are exposed to even the most simplistic and mundane aspects of your life and personality – your meal tendencies, your fashion sense, your musical tastes, and other such seemingly trivial things. But these things are far from being trivial especially when it comes to romantic relationships. These are nuances to your personality that your significant other will want to obsess over – and if you’re broadcasting all of these things on social media, you are depriving your partner of the opportunity to know these things about you in a very natural and organic manner. Take note that a lot of couples also fall into traps of routine and predictability. They assume that stability in a relationship is good because it means that there is consistency and order. And while that may be true for the most part, too much stability and predictability can be very bad for romance. It can make things seem very mundane, repetitive, and boring. And you would never want your relationship to be a boring one; and that’s exactly why it’s always good if you are able to maintain a sense of mystery in your relationship. The less your partner knows about you, the less predictable you are – and therefore, the more exciting your relationship is going to be. There is always something so liberating about being able to make a discovery concerning the person you love most in this world. It’s as if you’re incentivizing your partner to stay with you; to really take the time and effort to get to know you more.